The House Committee on Science, Space and Technology is currently marking up the America COMPETES Reauthorization Act of 2015 (H.R. 1806), introduced by Committee Chair Lamar Smith (R-TX) — a bill designed to provide three key science agencies with authorizations for funding for FY 2016 and FY 2017 and implement other policies. The bill is cast as a reauthorization of the original America COMPETES Act of 2007, which, inspired by the seminal National Academies report Rising Above the Gathering Storm, was a bipartisan attempt to buttress Federal support the National Science Foundation, Department of Energy’s Office of Science, and the National Institute of Standards and Technology in recognition of the critical role they play in fostering U.S. innovation and competitiveness in an increasingly competitive world. That original bill attempted to put those agencies on a path to doubling their research budgets over seven years — an important symbolic goal that demonstrated Congress’ commitment to support the physical sciences (which, in DC parlance, is anything not in the life sciences) after years of relative underinvestment. H.R. 1806 also would authorize funding at NSF, DOE’s Office of Science, and NIST, as well as the White House Office of Science and Technology Policy, but does not provide for the steady and real growth in the Federal investment in research called for by the Gathering Storm report or enacted by past COMPETES authorizations. While the bill includes authorized increases for some programs in FY 2016, the bill holds agency funding flat in FY 2017 — and that means a cut in real dollars when inflation is considered. Though the bill also shows strong support for investments in computing research at NSF and DOE, it does so at the expense of other science disciplines, including the social, behavioral and economic sciences (SBE) and geosciences (GEO). 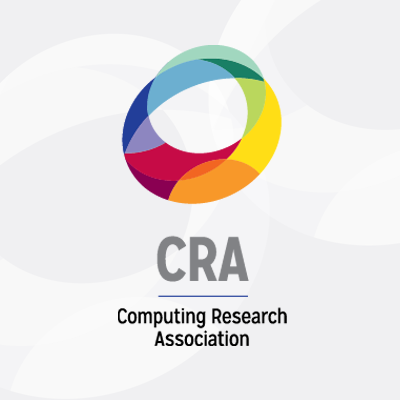 CRA, along with many partners in the science community, opposes this approach, especially given the importance of research in fields like SBE in informing computing research — particularly in computing areas like cyber security research and human-computer interaction. The insight into human behaviors provided by SBE is critical to understanding how best to design and implement hardware and software that are more secure and easier to use. For these reasons, CRA opposes passage of H.R. 1806 as introduced. CRA released the following letter to Committee Chair Lamar Smith and Ranking Member Eddie Bernice Johnson (D-TX) explaining our lack of endorsement. As an organization representing over 200 PhD-granting departments in computing, 16 industrial computing research labs, and 6 affiliated computing societies, we commend you both on your long-standing efforts to support the Federal investment in fundamental computing research. While we are pleased to see elements of that support continue in the America COMPETES Reauthorization Act of 2015 (H.R. 1806), other concerns — including the overall level of support provided to key science agencies in the act — prevent us from offering our endorsement of the bill. In particular, we are disappointed to note that the bill, by flat-funding science agencies in the second year of authorizations, fails to provide for steady and real growth in the Federal investment in research, something we believe is critical to our Nation’s ability to compete, prosper and be secure in the coming years and decades. Indeed, when inflation is considered, the authorizations for FY 2017 represent real reductions in research investments, including investments in computing research. We are also disappointed to note that research at the National Science Foundation in the Social, Behavioral, and Economic (SBE) sciences, along with the Geosciences, would be curtailed under this authorization. As you are aware, research in several key areas of computing — including cyber security and human-computer interaction (HCI) — is significantly informed by work emanating from the SBE directorate. The insight into human behaviors provided by SBE-funded work is critical to understanding how best to design and implement hardware and software systems that are more secure and easier to use. In cyber security work, where the human is often the weakest link in the chain, it is especially crucial to understand the varying motivations and usage patterns that dictate how people interact with their machines, and the expertise in studying those issues in large part resides in the social, behavioral and economic sciences. In HCI work, expertise in social, behavioral and economic sciences is critically valuable in creating workplace systems that foster collaboration and creativity, creating disaster response systems that influence people to effectively find shelter and assistance, and creating systems that motivate medical adherence and compliance with medical treatment. We would be happy to work with you and your staff to help address these concerns and create legislation we could support wholeheartedly. However, as the act stands, we are unable to offer our endorsement. Information on the ongoing markup, including a live stream, can be found here. CRA joins with a large number of academic, scientific and industry groups in opposition to H.R. 1806. We’ll have more detail about the results of the markup soon.